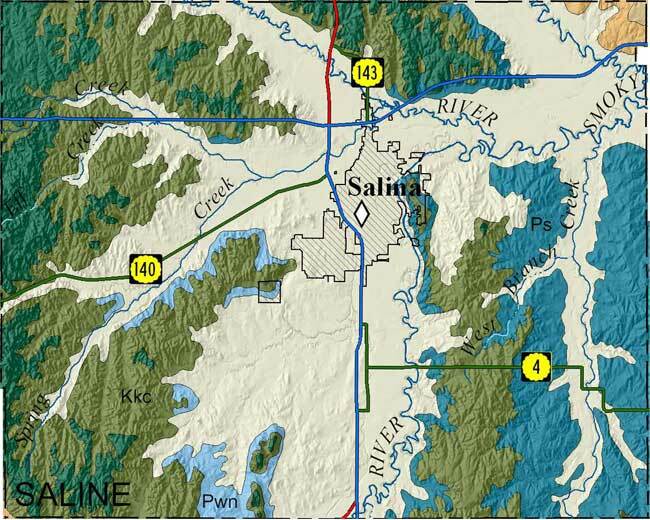 McCauley, J.R., 2011, Surficial geology of Saline County, Kansas; text and geologic-unit descriptions by C.M. Phillips-Lander and R.S. Sawin; cross section geology by R.S. Sawin: Kansas Geological Survey, Map M-123, 1 sheet, 59 x 40 inches, scale 1:50,000.